On October 10th 2001, METS founder and former Regional Director Adrian McDonald passed. As you are aware, Adrian was instrumental in the development of the Aboriginal Employment Training Program. 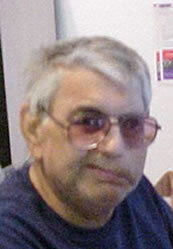 Adrian was at the table, back in 1990, when discussions first began regarding employment programs for Aboriginal people. Adrian sat on the National Committee in the initial design stages of the Pathways to Success program, taking it on as his own personal mission, to try to improve and impact the lives of so many unemployed Aboriginal people, not just in Nova Scotia, but across the country. Adrian had a reputation, well known, he could not just sit and listen of the difficulties Aboriginal people were facing, Adrian wanted action. He wanted to seek a way to change the adversities Aboriginal people face in their day-to-day lives. Adrian was a doer and that he did. Adrian was not known as a shy man, he would tackle any situation, and any one. He would express the views of the Nova Scotia Aboriginal community at any opportunity he was provided. Adrian began his career working as a counselor with Employment & Immigration, and eventually left to take the position of METS Regional Director. Although a federal employee, Adrian’s loyalty was to his Aboriginal community. He took great pride in managing the small METS office, and he ran a tight ship, having high expectations of all staff. Adrian was a very fair employer, which is why METS staff have remained with him for all these years, dedicated to serving Adrian, the “Boss”. Adrian didn’t know the meaning of No. He was a visionary person and could always find an opportunity to make the program work to suit the individual community’s needs. METS was Adrian’s life, and he gave it for us, Adrian was a workaholic. Off and on Adrian had been battling cancer. He had great confidence in his staff to run the office during his absence; they were part of his family. Adrian endured a tremendous amount of stress with the management of the Aboriginal Human Resource Development Agreement, as more and more demands and roadblocks were directed at the METS office. Each time, Adrian was able to demonstrate with professionalism the integrity of METS programming. At times it was almost too much for him to endure, however, METS was his baby, and he was not about to let go. Even during his illness, Adrian could not rest until he had ensured METS would continue to operate. He did not want to see his dream die with him, and neither do we.